← Throwback Thursday? No Way! Throwback Australian Open! It’s a wrap. The first tennis Grand Slam of the 2017 season is officially in the books, and the hits just keep on rolling. 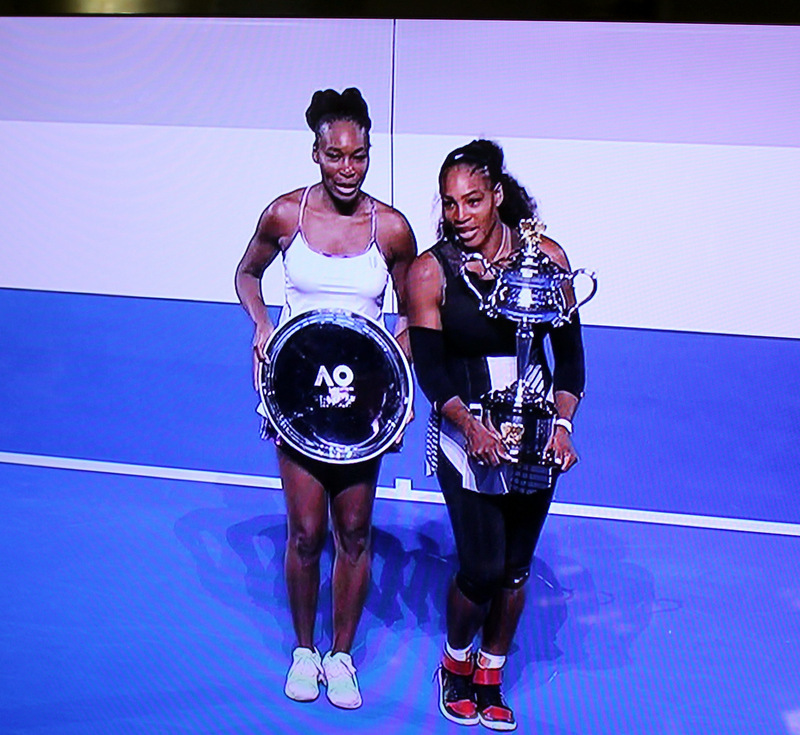 I am awarding Venus and Serena Williams The Red Man’s Memorial Paw Snaps and Twirls – the highest honor possible for two American women who personify persistence and perseverance to be the very best in their sport and in so doing, prove repeatedly that they are both the images of true champions. Their love of family speaks volumes about their character, and their love of playing tennis is a gift we can all appreciate and be grateful for. You rock, girls – keep going. Records are made to be broken. And then came the men’s final with Rafa Nadal and Roger Federer. Another gut-wrenching five-set match for the ages. 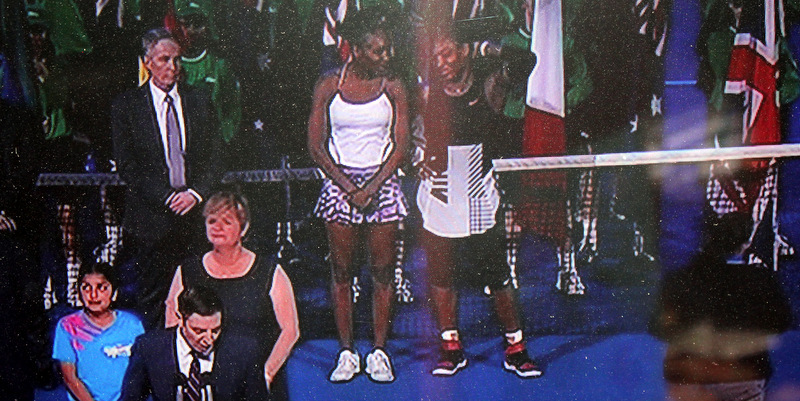 As Australian commentator Darren Cahill said, “It’s a privilege to be able to be here and watch this amazing final.” I felt the same way sitting in the bleacher seats at Casa de Canterbury – how lucky am I to see these two passionate competitors one more time in a major final. Hooray for great tennis! 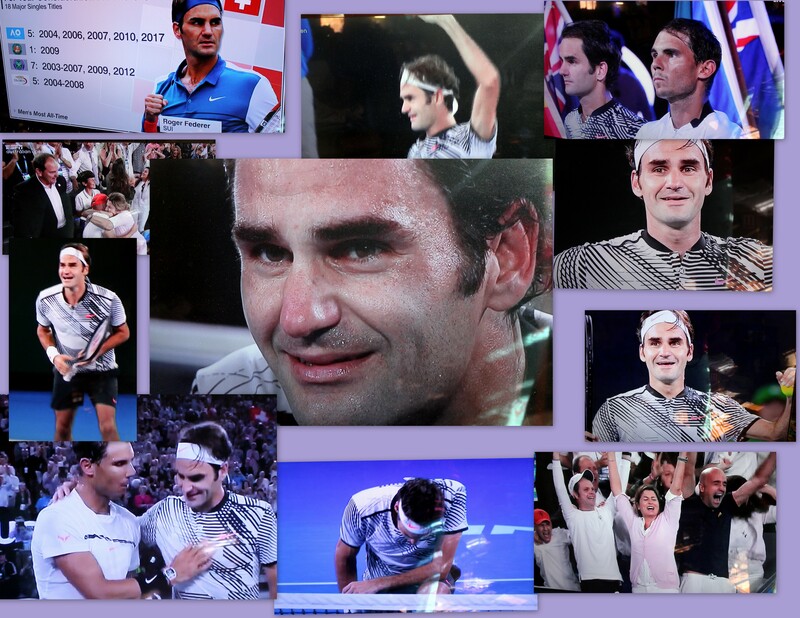 Roger won his 18th. 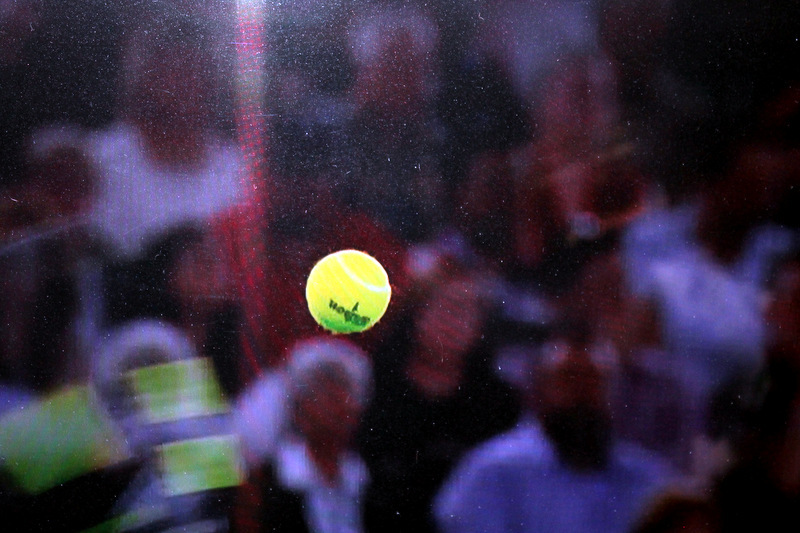 Grand Slam which increases his lead over Nadal and Sampras who are tied at 14. Roger was once again the Swiss Magician as he worked his magical aces and unusually magical backhands. will this be the last? Thirty-five used to be ancient for a professional tennis player, but Roger Federer defies the norm and continues to prepare to play at the championship level even after a six-month sabbatical from the tour to recover from a knee injury. This year the tennis gods were aligned to give him a great ride in the Australian Open, and I enjoyed celebrating with him and his team early this a.m. when he won. I am also awarding Roger Federer The Red Man’s Memorial Paw Snaps and Twirls Award for performance above and beyond the realm of mere mortals as he vanquished the little yellow ball and his own fears in a clash of wills as much as skills. Lordy, lordy. Charly and I are exhausted from our live coverage of the Australian Open. 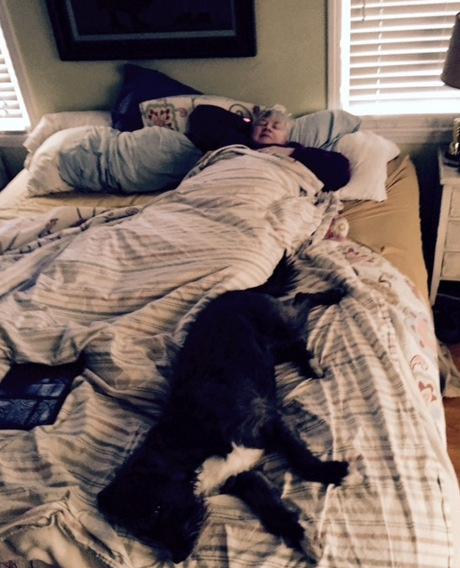 We left the comfort of our king-sized bed every morning at 3:00 a.m. to go downstairs to indulge my passion for watching the matches as they were happening a world and many time zones away. Viva Australia – whatever day it is for you – I can never keep up, but I love you and my Australian followers mucho. Onward to the French Open in the spring. This entry was posted in Life, Personal, Reflections, Slice of Life, sports, The Way Life Is and tagged australian open, darren cahill, rafael nadal, roger federer, the red man's memorial paw snaps and twirls award, venus and serena williams. Bookmark the permalink. 2 Responses to GRAND SLAM GREATS! Altogether a stunning, if somewhat Twilight, ending.